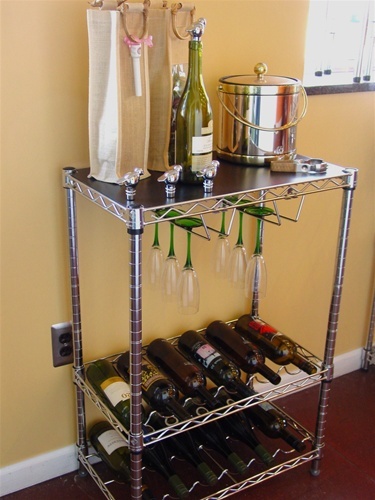 Durable high capacity wine rack and work station, designed for a wide variety of uses. Quick and easy assembly (no tools required). Individual cradles provide secure storage for each wine bottle. Please note that anchors are not included. Wall to post connectors can also be purchased separately for added stability. Contact us if you have any questions. We're happy to help with your wine storage project.